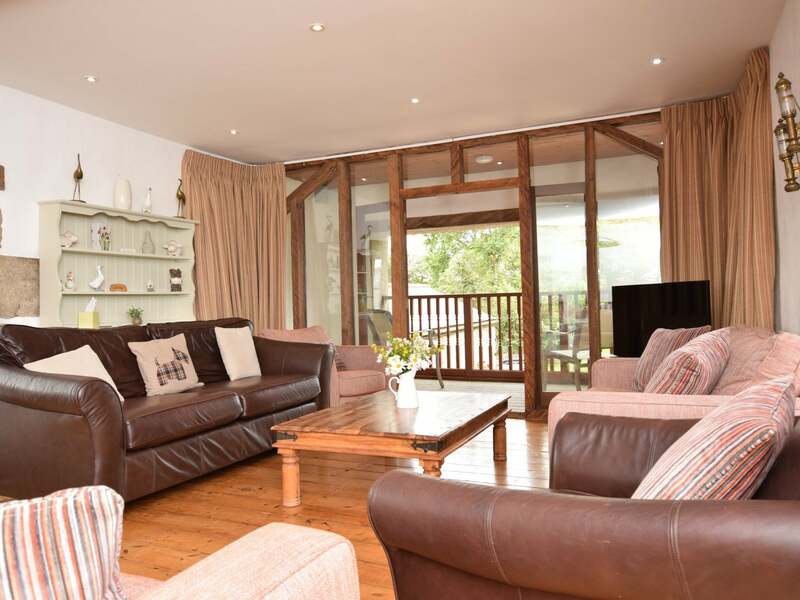 This five-bedroom rural property is one of eight similar properties on the same former farm. 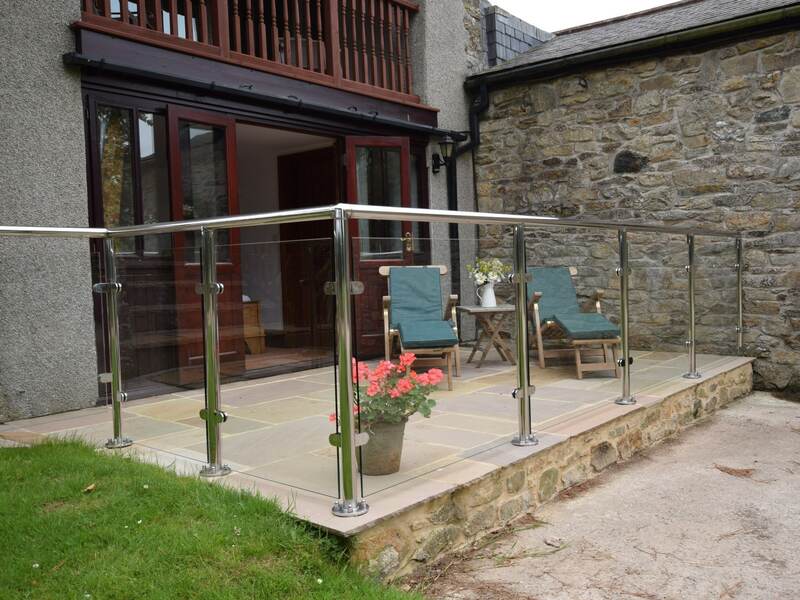 Retaining many of its original features inside and out this impressive barn conversion approached by a long farm lane is well-located above Portreath. 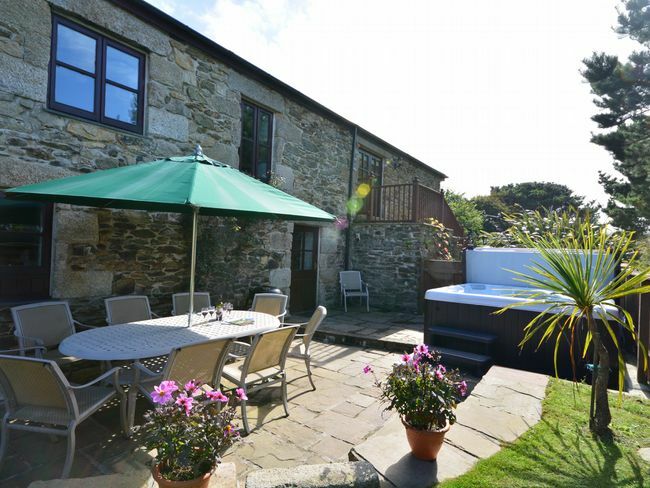 A short walk to the harbour local pubs and a few village shops is also well-located for trips to St Agnes Truro Redruth Newquay and Land s End. New mining trails have opened close to Portreath taking you through the different local habitats and the stone ruins of old wheel houses. 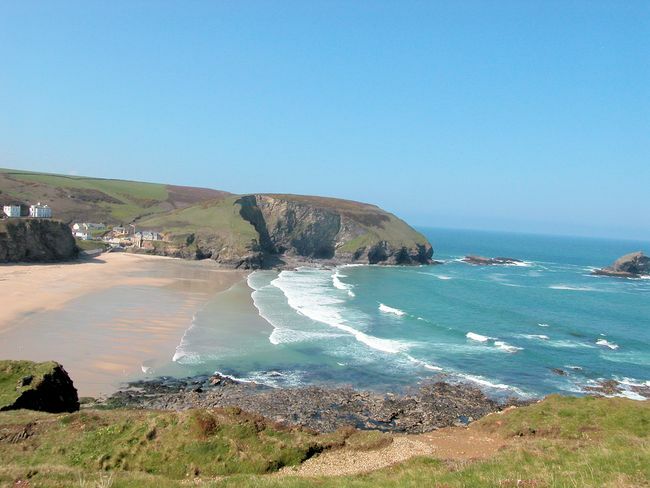 The beaches of Chapelporth Porthtowan and Godrevy are all very close to the property making it a great prospect for those looking for an idyllic North Cornwall break. 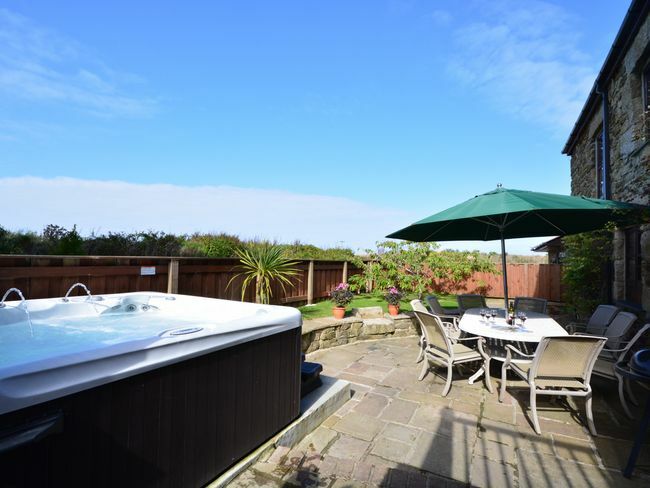 This property has three of its five bedrooms situated on the ground floor with the lounge areas upstairs. 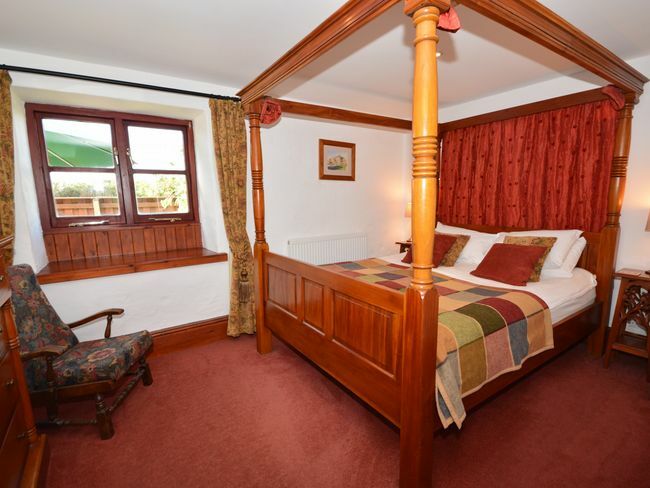 On entering the property you are welcomed onto the ground floor and you will find the bedrooms the first of which is a four-poster bedroom and en-suite complete with shower over bath and WC. Also on this floor is a small bedroom with twin beds. 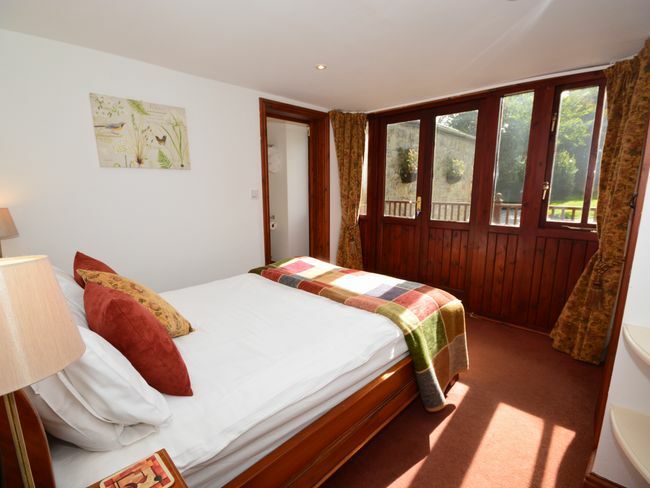 Rounding out the ground floor is another double bedroom with en-suite shower room and WC. This room has access to an enclosed patio area via French doors. 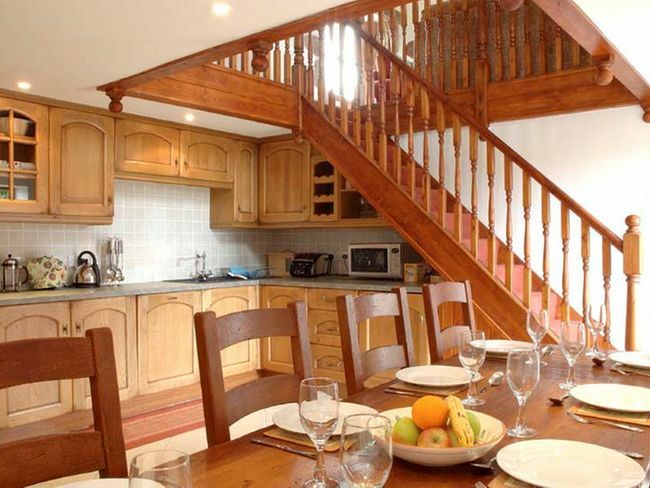 The kitchen/dining room is spacious and equipped with an electric oven and hob microwave dishwasher fridge/freezer washing machine and tumble dryer for your convenience. 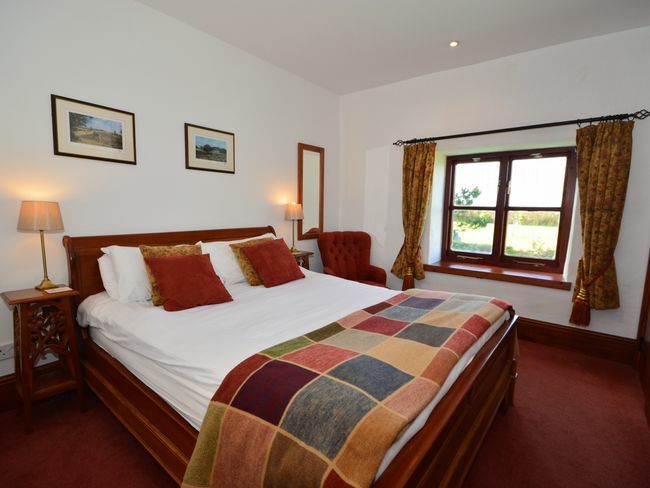 Further bedrooms on the ground floor have pleasant views of the garden and immediate countryside. 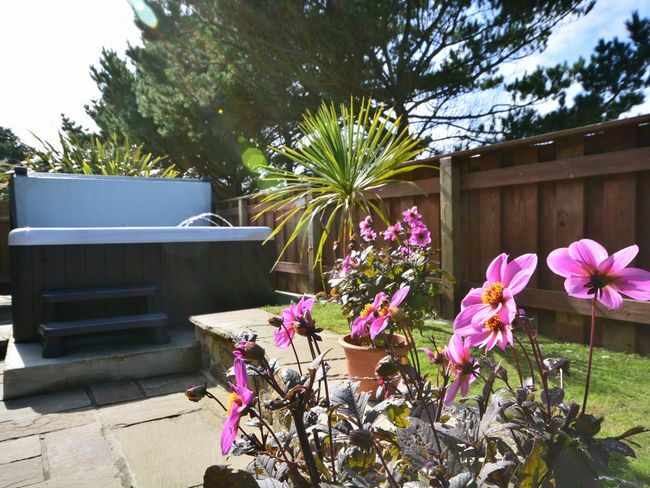 Nearby is a spacious bathroom with a shower over bath and WC. 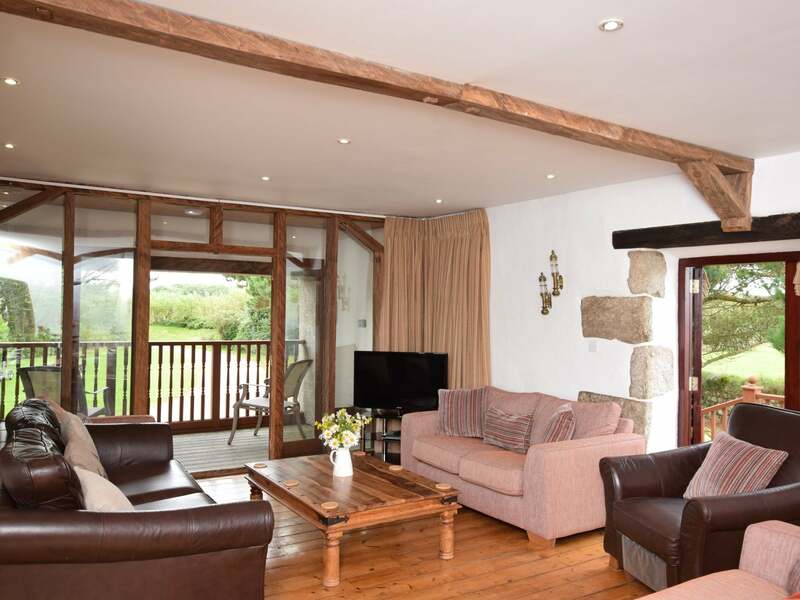 Go upstairs and you arrive in the open space of the lounge area which has lots of relaxing seating a TV and DVD. 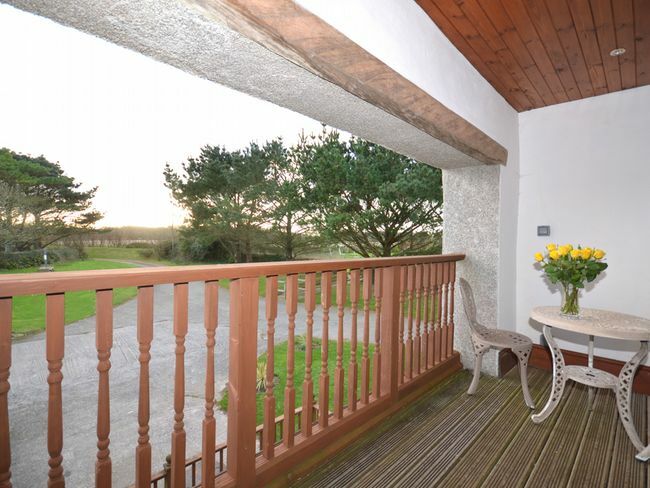 The galleried area enjoys wide views over the bay below and a feature balcony area with seating perfect for an evening meal or a glass of wine. There is also an external staircase up to the lounge in addition to the main internal one. 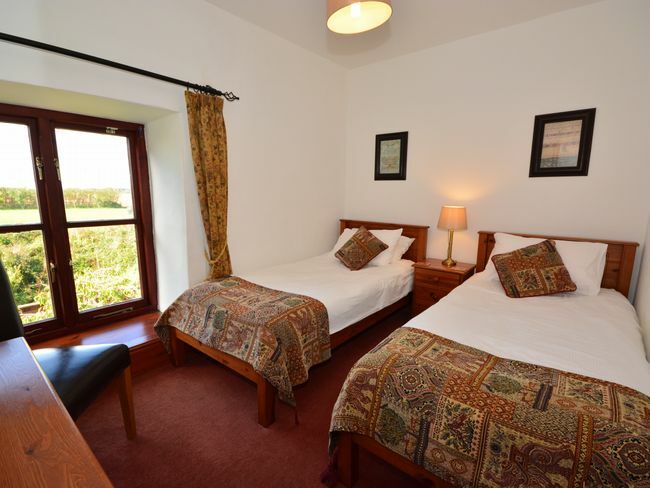 The first floor bedrooms include a double and a twin room with great views of the sea. 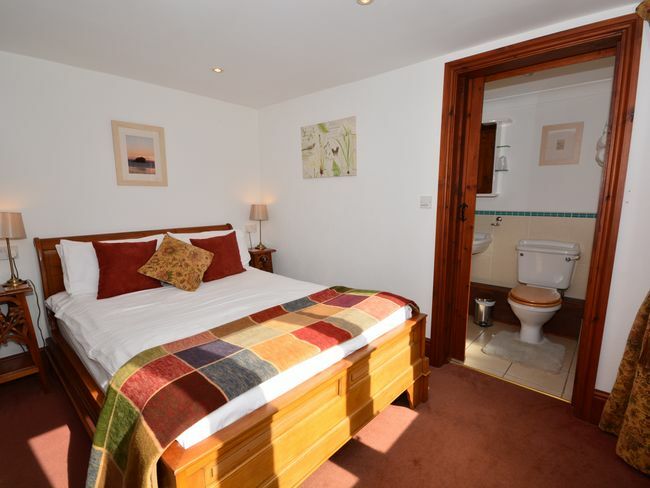 There is also a shower room with WC on this level close to the two bedrooms for convenience. 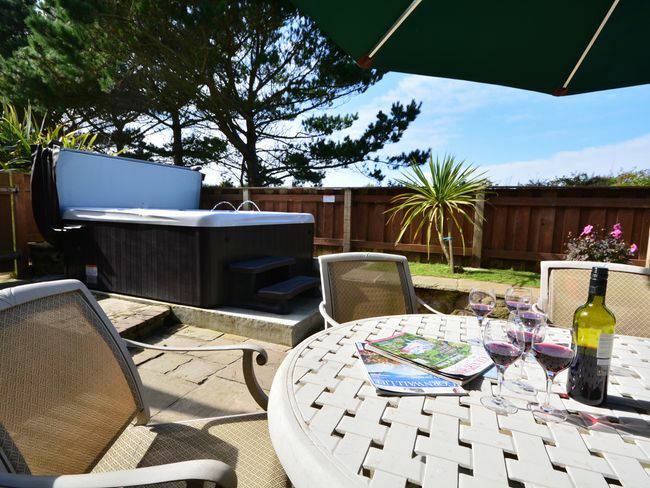 Outside the property there are two patio areas one with a hot tub and one of which is enclosed. 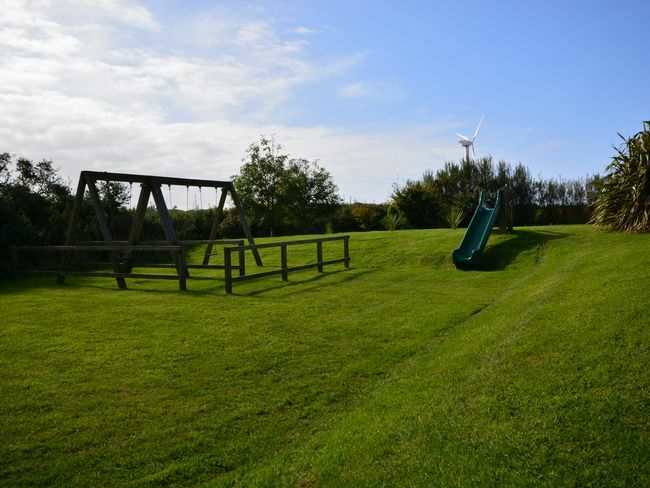 You have access to a shared outdoor children s play area with swings slide and football posts. There is also BBQ by arrangement. There is also plenty of off-road parking.